Most cosmetics products nowadays are made of chemical and synthetic which are harmful to your body. This is the reason why there is an increased demand for natural shampoo and conditioner. Having natural products like serum, natural shampoo and conditioner are some things that you can invest your time with. Finding the right organic product is challenging but it is best that you can do for your hair. You will surely not get disappointed in the amount of money that you will be spending to get the product. 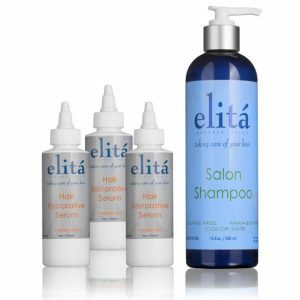 It strengthens your hair: Using these products will help you strengthen your hair in a more beneficial way than you can with other different hair products that assume to help your hair rebuild after a rough treatment. By feeding nutrients in your hair, natural shampoos and conditioners help in strengthening your hair. Purely organic: Hair has a natural order. If in case that order is altered you may be at the risk of having problems with your hair. Itchy scalp is the common problem that may occur. With several different products available, natural products are slowly gaining their way in the marketplace. The demand will be increasing in the coming years because more and more people are interested in getting the rich vitamins that are found in all natural hair products. You will be able to feel and see the result right away upon switching to natural organic shampoo and conditioners. With natural shampoo, you will have your hair tone with a fine texture.